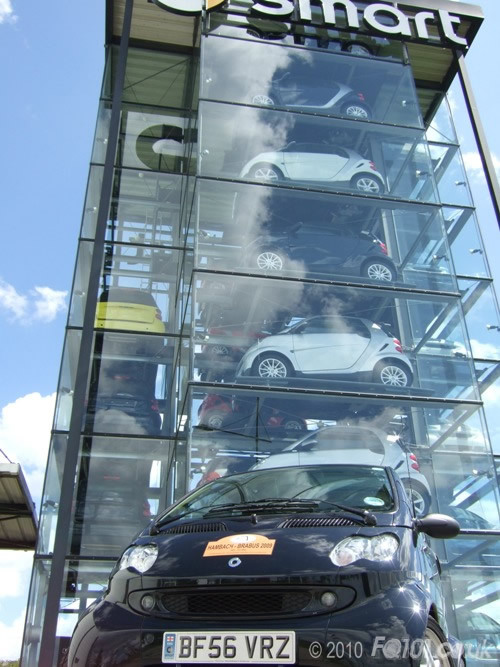 My first experiences of the smart world didn't have the most auspicious beginnings; my initial reaction on seeing a fortwo being something along the lines of 'good grief, what is that THING?!' I hadn't even contemplated getting a smart until a change in my circumstances meant that I had to get myself a new car and quick. My first car had been a Peugeot 405 tank that I'd bought just after finishing uni, but it was never the same after a refrigerated transit van piled into the back of it on the M1 even though the van came off worst. I had been using a Toyota Prius up until that point, and I had actually initially gone out to test drive another one (as I'm a bit of a closet greeny), but then the words "stuff that, I want a FUN car!" came to mind after surfing the internet under the influence of a bottle of wine. 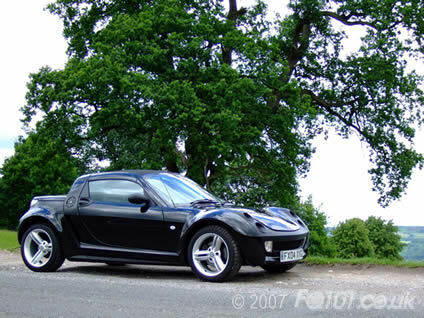 Having lived with a Lotus Elise in a previous life, the notion of getting a sports car sprang back to mind and I set about finding a low-emissioned sporty car that I could throw around a few corners (around the Derbyshire country roads where I grew up...ah, the Cat & Fiddle!). 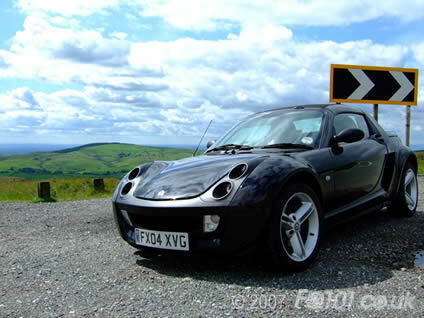 Via a quick websearch a picture pops up of the smart Roadster... I was instantly smitten. I had a bit of a false start; on my first ever smart test drive the chap trying to sell the car insisted on showing me how to change gear whilst holding my hand on the gear stick, and then, via smart of Lakeside, I test drove a 53 plate black Roadster which appeared to have been modded to within an inch of its life and then thrashed the rest of the way. I eventually bought my adored all black Roadie, called Foxy, from smart of Lincoln. I had a fortwo courtesy car in between the Lakeside experience and Lincoln, which also got me completely hooked on those little things as well! On my way up to buy my new car I got my first ever smart wave off two 'silver smarty' ladies in another fortwo - it made my day! My first meet was with the D.A.F.T. crowd in Chesterfield; haring around Chatsworth and the Derbyshire countryside (including bus stops, roadworks and three-inch metal bolts in fortwo tyres...). The next one after that was the Redbourn BASH meet (where I first met the FQ101 guys) followed in quick succession by the Walton BASS meet. I'm still getting over the trauma. I said right from the outset that I wouldn't modify my car at all; well, that previous statement has gone completely out of the window. The first thing that I bought were pods - temperature and boost gauges, which I managed to fit into the dash by the tried and tested 'let's try this and see what happens' method. So it looked very pretty, but didn't work at all as I didn't have a clue where to plug the darned things in. Cue smartsparky taking my car to bits to connect them all up and the roadster pod fitting guide was written. Having been bitten by the modding bug I had a Pipercross air filter fitted (the sum total of my engine mods so far) but I've also had the trip computer and cruise control fitted; smartsparky's now finished the electric wing mirror upgrade which has been really useful and I've got some great new HID headlights installed which improve the vision on roads no end. The colour coding of the dark grey plastic has given the car a very polished look as well that I'm very pleased with. 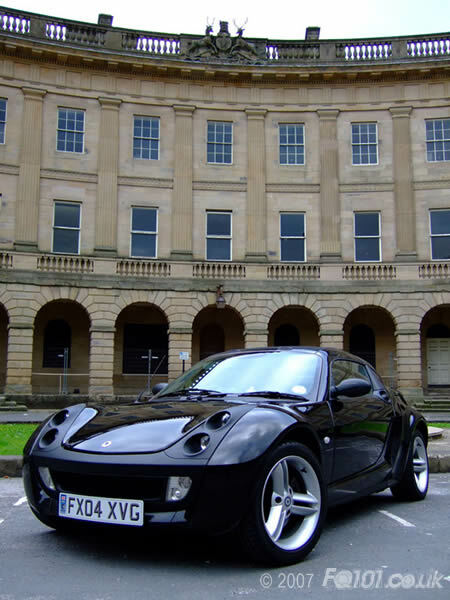 In October 2007 however, I decided that I couldn't resist the pull of a Brabus fortwo any more, and after looking on the web for suitable candidates, I found mine being sold by a car supermarket on eBay. I went to see it, and loved it straight away, apart from the Brabus monoblock wheels being desperately badly corroded. The car itself was fine, so after some deliberation I thought that I would take my chances on a car that was still within smart's warranty that maybe they would replace the wheels. I was in luck! smart of Hertford came up trumps with that and agreed to replace them free of charge. In the tradition of naming cars, this one's called Bob. It's a completely different car from the Roadster; aside from the obvious differences in driving position, the Brabus engineering makes a huge difference - and it really enjoyed the 100 octane V-Power available on the continent on a recent trip to Hambach and Bottrop, and also at smart times 2011 in Riccione, Italy! What next? Who knows...perhaps a Crossblade to add to the stable..?